Following on from an earlier post in which, amongst other things, I tried to educate the residents of internetshire about the facts of English geography, let me put an end to the argument about what is the North and what isn’t. ..I’m sure this proves beyond all reasonable doubt that “The North” actually means Northumberland – the clue’s in the name, really. The nameless County between Northumberland and Durham is Tyne and Wear – a relatively recent invention which confuses the issue slightly, but which I include in my definition of “The North” for historical reasons. 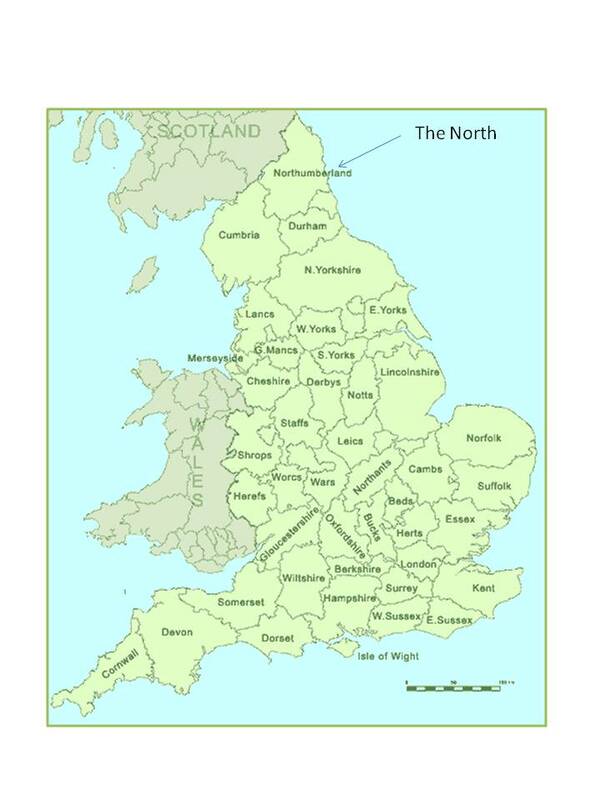 Anyway, my point is that Manchester, Leeds, Liverpool etc are all much further South than The North. Even North Yorkshire isn’t really in the North, as any objective reading of the map proves. Sorry, Chris from Yorkshire (The Midlands). I rest my case. P.S. Looking at the peculiarities of the border between England and Wales has helped me understand why the train crossed in and out of England so many times between Cardiff and Llandudno last week!